Crews wrote beautifully about pain. Speaking about his own books: “The smell of blood is on them […] the sense of mortality is a little too strong.” That may very well be true. But like blood, they are also as rich and vital as all get-out. 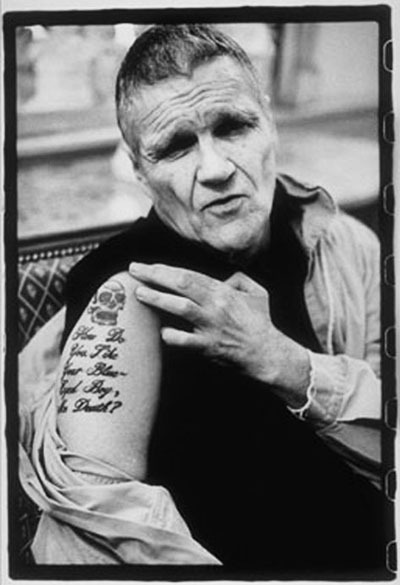 If you haven’t experienced his world before, but appreciate the output of writers like Cormac McCarthy, Flannery O’Connor, Faulkner or Bukowski, you will likely find loads of gruff and stalwart reassurance in the work of Harry Crews. A forthcoming memoir by Crews is slated to be published in the near future. Long before his passing, there’d been a lot of talk of reissuing his full bibliography in digital editions and beyond. Here’s hoping. Visit HarryCrews.org, which features many essays, interviews and portraits. Some sagacious quotes from the hellion below. Harry Crews. Photo by Oscar Sosa for The New York Times.